During TSN's/CTV's flashback memories of the Vancouver 2010 Olympic Games I could not help but swell up with great pride as I quickly relived the greatest hockey and sporting event in my life. 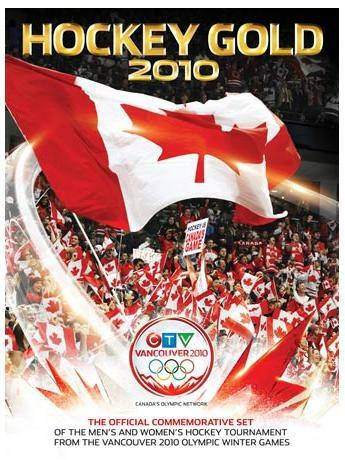 The image above is the cover shot of Hockey Gold 2010 DVD Vancouver Olympic Games dvd box set. 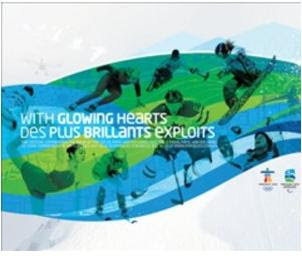 This 5 disc set is the official commemorative dvd box set of the men's and women's hockey tournament from the Vancouver 2010 Olympic Winter Games. The box set runs for about $50. It is also available on Blu Ray .